Safety Critical Linux - What's new? Can we trust Linux? Listen to Nicholas Mc Guire on Safety Critical Linux and participate in the related discussion to better understand when we can and when we cannot. Can Linux be used in safety-critical systems? Is Linux stable enough? 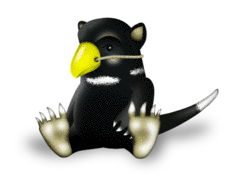 What happens, if you expect a penguin to do the work in a safety-critical system but, in reality, the penguin silently disappeared, and a Tasmanian devil - although well-disguised - does the work instead? that is scheduled for Tuesday, October 20, 2009. We gratefully acknowledge the hospitality of Liebherr Transportation Systems GmbH, Abteilung Systemtechnik, to host this seminar. Liebherr is active in the development of safety-related platforms for on-board rail equipment and considering Linux as one of their strategic options for the future. More details are given here; please use this form to register.